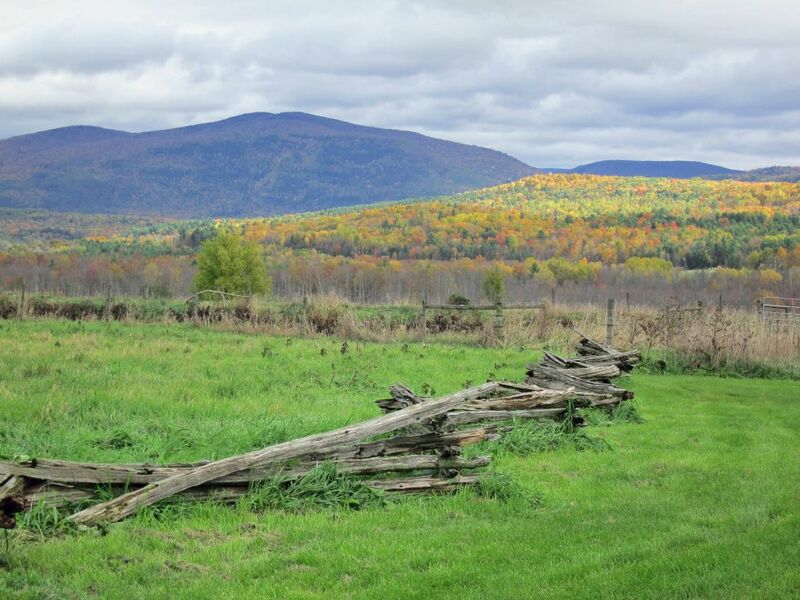 Our guest house is located on our 750 acre organic farm near Middlebury, VT. Beautiful views of the Adirondacks and Green Mountains; dirt roads and fields for long walks, biking, and xcountry skiing/snowshoeing. 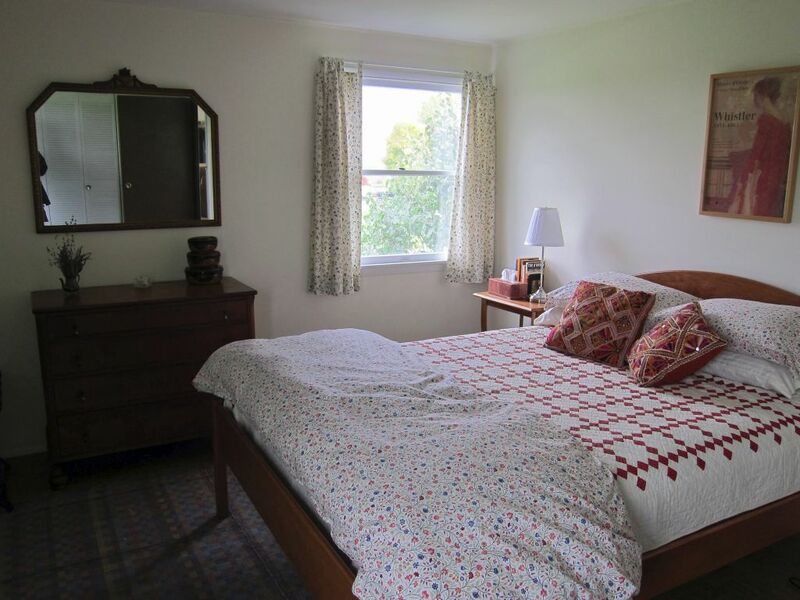 We have two larger bedrooms each with a queen bed, as well as a small bedroom with a full futon/couch which would best accommodate one adult or two children. A full house would accommodate 5-6 people. The house is provided as one unit so even if you are single or a couple, you have it to yourselves. 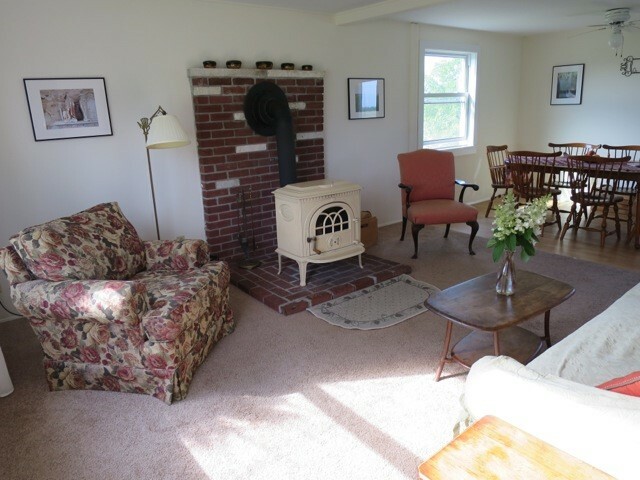 It also has a small bathroom, kitchen, open dining area and living room with a Jotul woodstove/fireplace. We stock the fridge (for self-serve breakfast) with our organic free-range eggs and homemade granola, local yogurt, milk, bread, cider and apples, and other Vermont and/or organic items. 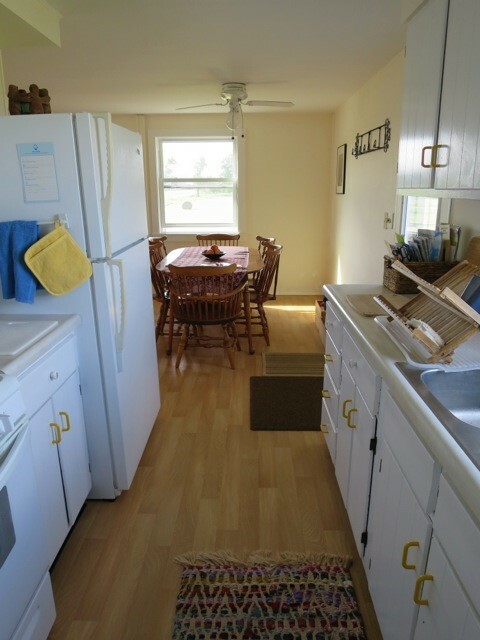 Centrally located for skiing, hiking, kayaking, biking. Two kayaks and shuffleboard are complementary for use. Wi-fi in living room. Great sunsets and star gazing on deck. Kids welcome. Dogs considered. 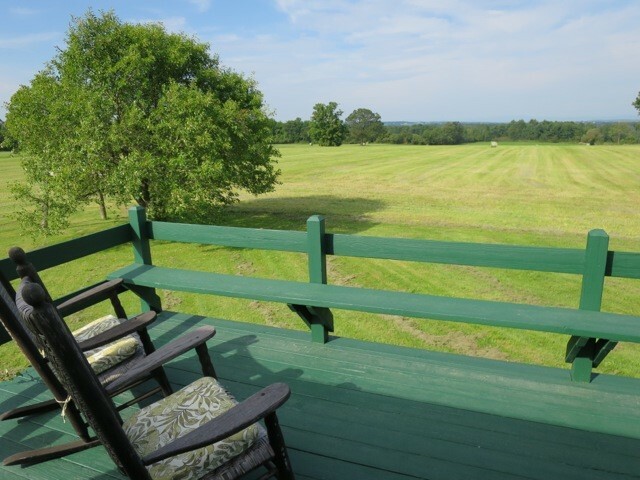 Ideal for Middlebury College activities (scenic and easy 18 min. drive) and its summer language school. Rates are: $150/first bedroom/night. $100/second bedroom/night. $50/additional person/night. Two night minimum. 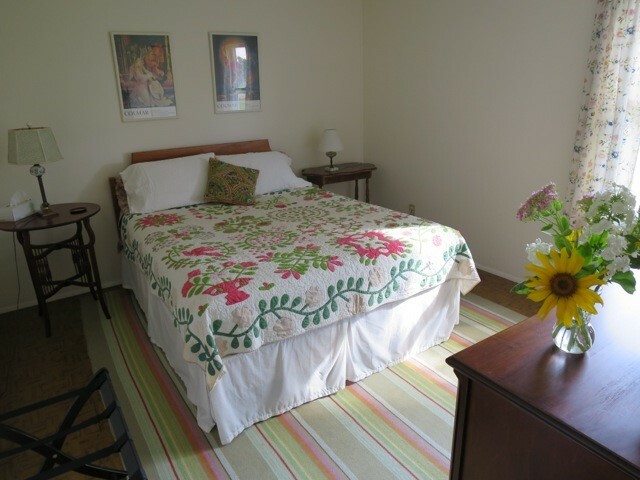 College graduation weekend is a minimum of three nights at $300/night. Weekly and monthly rates are available at discounted rates. Discounts for children as well. A dog or cat is $25/stay. There is 9% tax (if stay is less than 30 days). 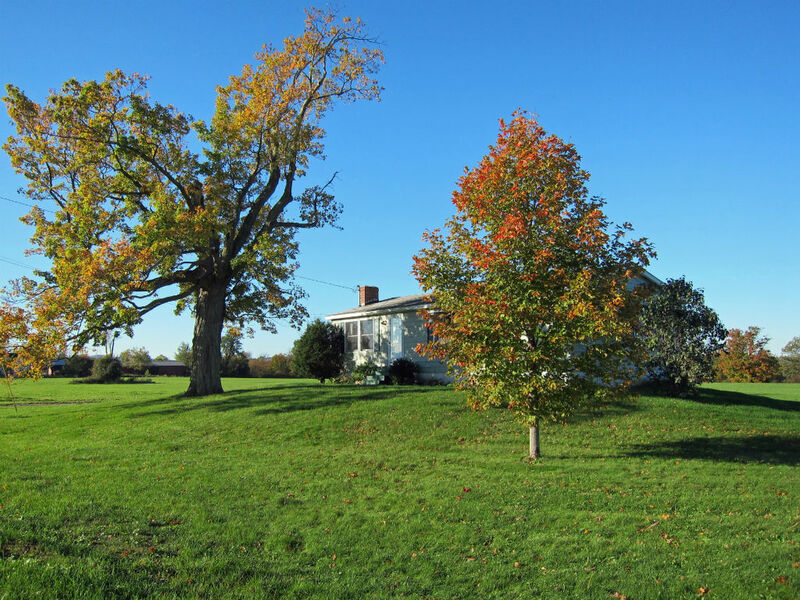 Our farm is an 18 minute drive to Middlebury and a 10 minute drive to Brandon, two charming towns full of great restaurants and cultural resources. It is a one hour drive north to Sugarbush or 45 minutes south to Killington and a half-hour to Middlebury Snow Bowl for downhill skiing. Rikert and Blueberry Hill X-Ski Centers, and the Catamount Trail, are less than a half-hour drive and we have x-country skiing and snowshoeing right out the back door in snow season, with the VAST Trail’s endless path running through the lower portion of our property. 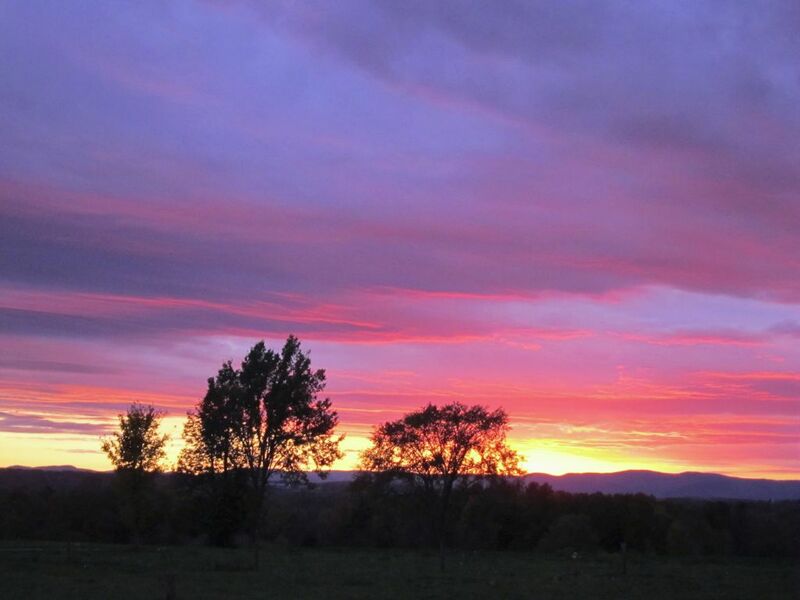 Hiking, boating, swimming, biking are found near by at Lake Dunmore and Branbury State Park, the Long Trail, Moosalamoo National Recreation area and there are many other places we can direct you to as well, into the mountains and towards Lake Champlain. Great spot for a mini-retreat!